Hi, I'm Gilles Vandenoostende - designer, illustrator and digital busybody with a love of language, based in Ghent, Belgium. 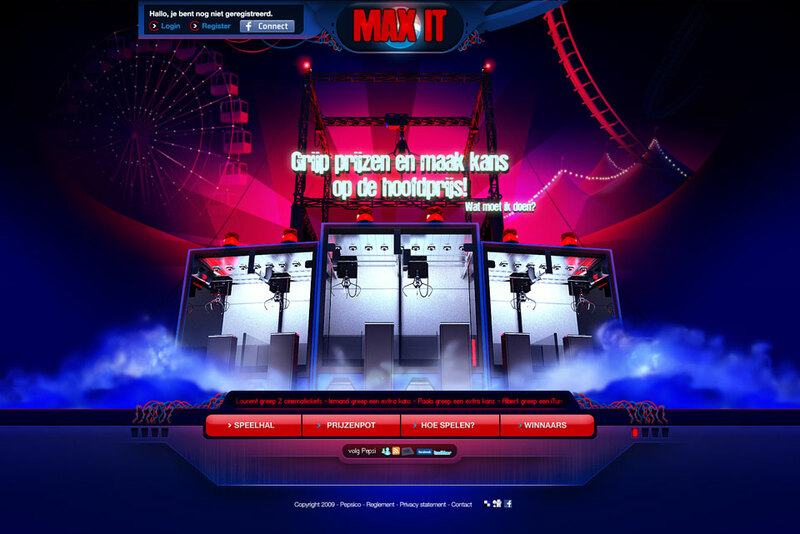 I conceived the site's setting as an over-the-top carnival. 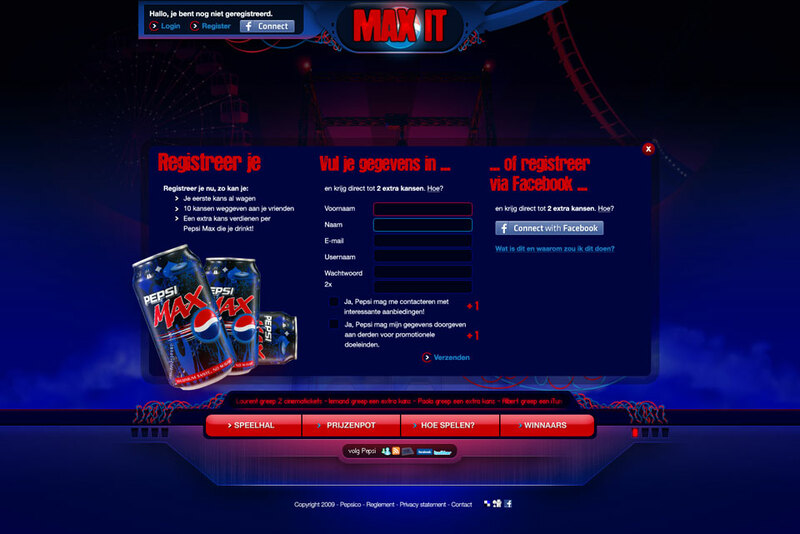 Max It was Proximity's first (but not last) foray into the scary world of Facebook Connect. The cabinets (and most of the rest of the site's design) were modeled and rendered in 3dsmax. The view while we were connecting you to the live-stream. There was always going to be some lag between pushing the buttons and the video coming back, so we warned players to take the delay into account. 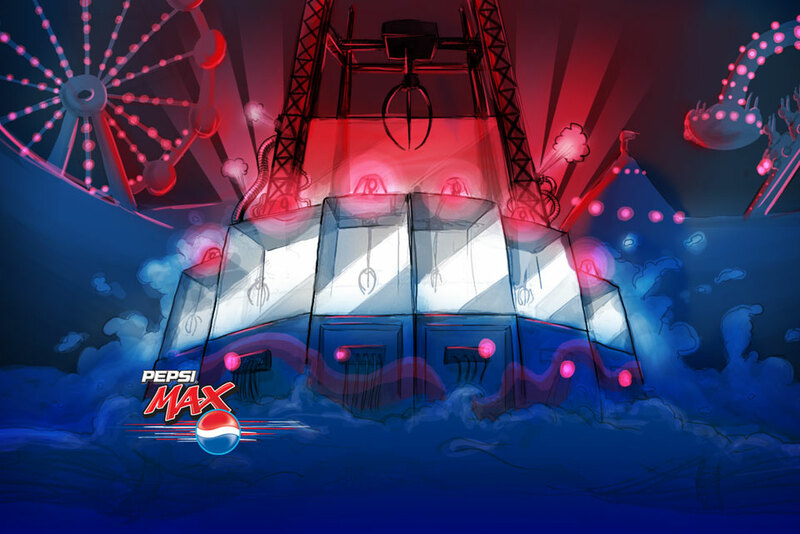 The sketch that started it all. 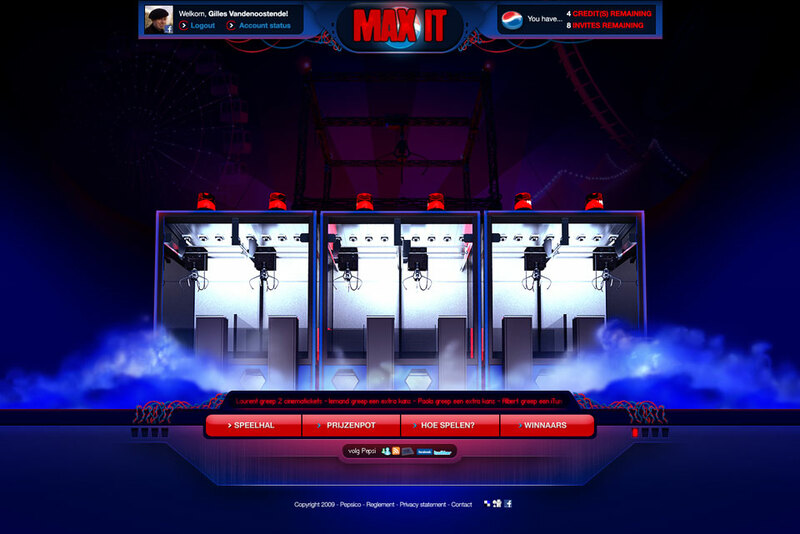 In the spring of 2009, Proximity BBDO launched its most ambitious (and successful) campaign for Pepsi yet: Pepsi Max It. 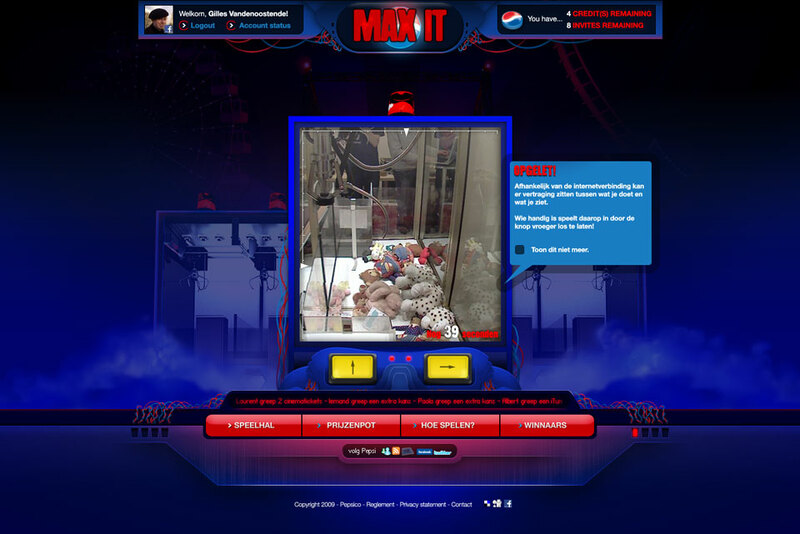 The goal: users could remote control 6 real claw machines hooked up to the internet in our offices. 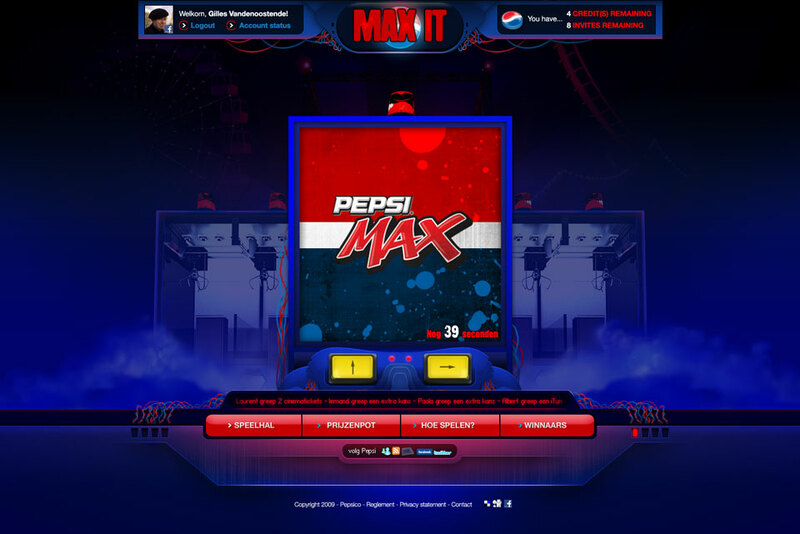 Using Flash, Photoshop, 3dsmax and Flex to craft the front-end and backed up by a custom-built .NET-based socket server hooked up to heavily modified claw machines, Pepsi’s Max It was probably Proximity‘s most ambitious project to date. 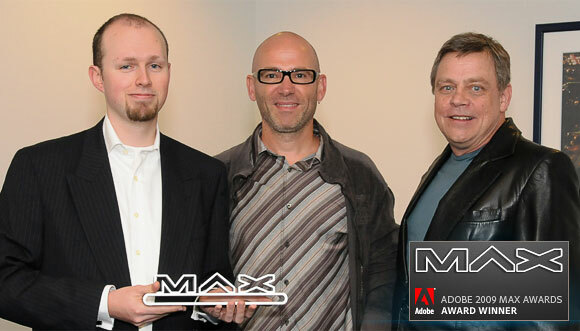 I was lucky enough to be a part of the team responsible and as a reward got to join Adnerd Jan Algoed in going to L.A. to the Adobe MAX conference to pick up our award, from none other than Mark Hamill!